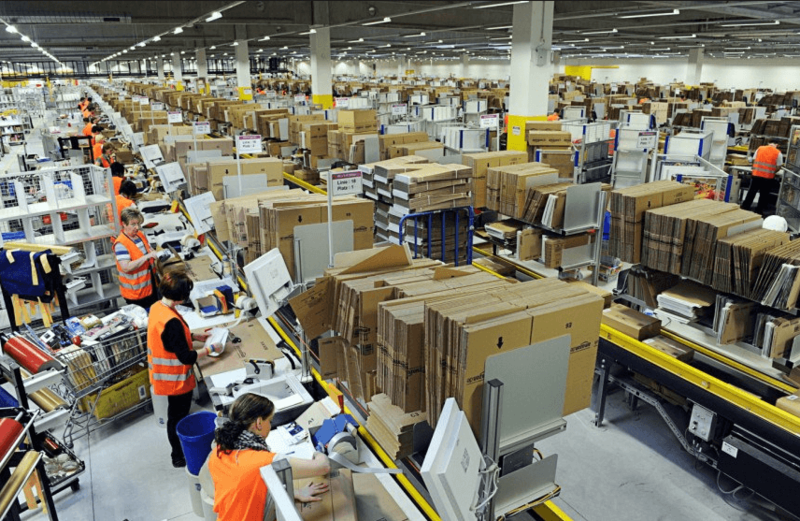 Amazon’s power is in the vast amount of goods and services it offers. To keep up with demand, it needs even more—and more prominent—products. So what is an e-commerce giant to do when faced with underserved markets or stubborn brands that refuse to work within the Amazon ecosystem? The answer, apparently, is devise a workaround. To boost its offerings, the Internet juggernaut recently contacted sellers that use its Fulfillment by Amazon service, alerting them that in some cases Amazon may want to purchase product from them that it will then resell. The statement also said for a limited time, Amazon will purchase the goods at full price and waive any additional fees. The two-paragraph email, which an Amazon spokesperson authenticated for CNBC, is running up against big opposition. David Kahan, CEO of Birkenstock Americas, which stopped selling to Amazon last year after the brand deemed it futile to try to stem the tide of fakes on the site, has issued a swift and stern warning to any authorized sellers thinking of taking Amazon up on this offer. Calling it “bad behavior,” Kahan said at the very least, Amazon should not buy goods when the dealer has prohibited trans-shipping. “This action they have taken is a ‘middle finger’ to all brands, not just Birkenstock, but all brands who value the consumer experience and exercise discipline to distribute in a manner that maintains brand equity,” Kahan continued. For their part, Amazon sellers have started comparing notes with one another about the pros and cons of the new policy. While some on the company’s seller’s forum initially said they didn’t see a downside to the arrangement, others were quick to point out potential issues and motives. Seller NextGen Gamer said in a post, “My concern would be that Amazon wouldn’t buy the inventory until they got the sale at a lower price, in an effort to pull prices down.” In this scenario, Amazon would create a listing for a product that’s selling well at a lower price and wait to buy it until it made the sale, so that it never owns the inventory. channel to those reluctant manufacturers,” they said. Is there any legal recourse? Whatever the intention, it seems there’s not much brands can do about it—legally, at least. “It is legal for Amazon, or anybody, to go to a seller of products and purchase them with the intent of reselling them,” said Jeremy Richardson, an attorney at Michelman & Robinson who handles fashion and juvenile products. But, as is the case with most things pertaining to the legal matters, there could be ramifications. For instance, Richardson said, the product and packaging would need to be in compliance in the state or country in which Amazon sells it. In Quebec, for example, packaging must be labeled in English and French, and in California, it’s not legal to sell products made of python. In instances like that, Amazon could run afoul of local, state or federal laws. Further, if someone were to be harmed by a non-compliant product, it could expose the brand as well. The issue is, Amazon is operating the way many Silicon Valley companies do. There’s a saying that goes: it’s better to ask for forgiveness than permission. And while it’s unlikely that Amazon will bother to seek the former, it’s definitely not going to wait for the latter. While that rational might be ethical from an Internet business standpoint, brand owners are looking through a very different lens. For them, they have to protect their retail partners, maintain consumer trust and abide by compliance laws. The best course of action, according to Richardson is for brands to button up the legal documents they have with retailers. “They can contractually have retailer agreements or vendor agreements with their retail partners that say, in essence, you’re only going to resell our product to genuine consumers not to anyone who is going to resell it,” he said.